Continuing education for Texas attorneys and CPAs. L/A ed is a provider of professional continuing education classes for Texas attorneys and CPAs, focusing on accounting topics for attorneys and legal topics for CPAs. All attorney classes offered have been approved for CLE credit by the Texas State Bar. Look for CPA classes soon. Attorneys We believe accounting concepts and principles have applications in a number of legal areas. In virtually any commercial litigation matter, accounting for the underlying transactions can have a significant impact on the ultimate outcome of the matter, particularly in the calculation of damages. While the attorney in a commercial suit will likely hire a CPA expert, that attorney will benefit greatly from an understanding of accounting principles in evaluating the financial issues in the case and questioning the other party's expert accounting witness. Beyond commercial litigation, accounting may play a part in many other legal matters such as family law, estates and trusts, and intellectual property cases. CPAs The importance of legal concepts to the accountant is evidenced by the fact that one quarter of the CPA exam covers business law. Our classes will provide in depth instruction in legal areas such as contract law and the Texas Business and Commerce Code from the accountant's perspective. We also provide instruction on legal topics having application to the management and operation of a CPA firm. 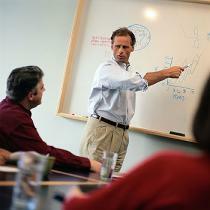 For example we offer courses that discuss professional services contracts or litigation of an audit malpractice suit. All L/A ed courses are taught by a Douglas Johnson, JD, CPA. Mr. Johnson is licensed by both the State Bar of Texas and the Texas State Board of Public Accountancy. He was licensed as a CPA in 1985 and has experience both in public accounting and industry. His public accounting experience includes nine years between two of the largest international CPA firms as a financial auditor. Since 1999, Mr. Johnson has practiced law in Texas as firm attorney and corporate counsel, focusing on commercial litigation and employment matters. He also has experience in transactional matters, including contract drafting and negotiation, intellectual property, and corporate formation. Additionally, Mr. Johnson served as staff attorney to the Chief Justice of the Fifth District Court of Appeals in Dallas. Have an idea for a topic to be covered by L/A ed? 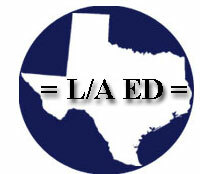 Send us an email at suggestions@la-ed.com. Read about the Enron case. Home | For Attorneys | For CPAs | Links | .